I would like to thank everyone who helped with the volunteer outing and staff appreciation week. This was greatly appreciated by both the staff and volunteers. St. John School truly has the best parents!! MAP testing is over and the class results look very good. As we enter the last weeks of school, it is important the students stay focused as we continue to prepare them for next year. Lastly, I can’t thank you enough for your prayers and words of kindness. 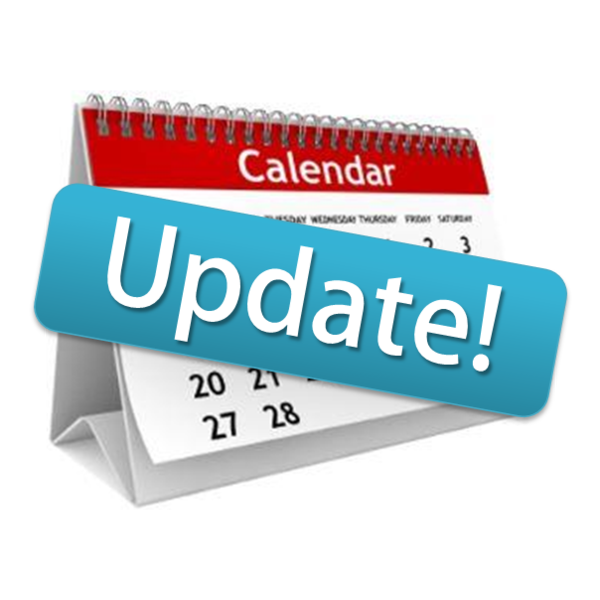 The last day of school will be Thursday, May 25th, with early dismissal at 11:15. Kindergarten graduation will be Wednesday, May 24th. Eighth grade graduation will be Tuesday, May 23rd at 6 PM. We have one last SJS spirit night fundraiser on Monday, May 15 at BW3. 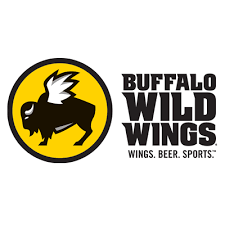 Stop in from 11 am through 11 pm and present this ticket (click here) to your server and Buffalo Wild Wings® will donate 10%* of your total bill (not including tax, gratuity or promotional discounts) to the SJS Book Fund. 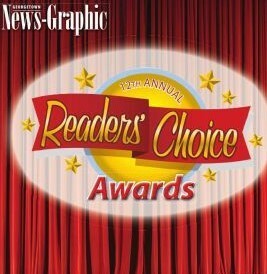 The Georgetown News Graphic is holding its annual "Readers&apos; Choice Awards." Please join us in voting for SJS as your favorite private school - let’s make #1! There is a ballot is in every issue through May 20 and it is included in the Scott Shopper paper too (which most residents receive free). 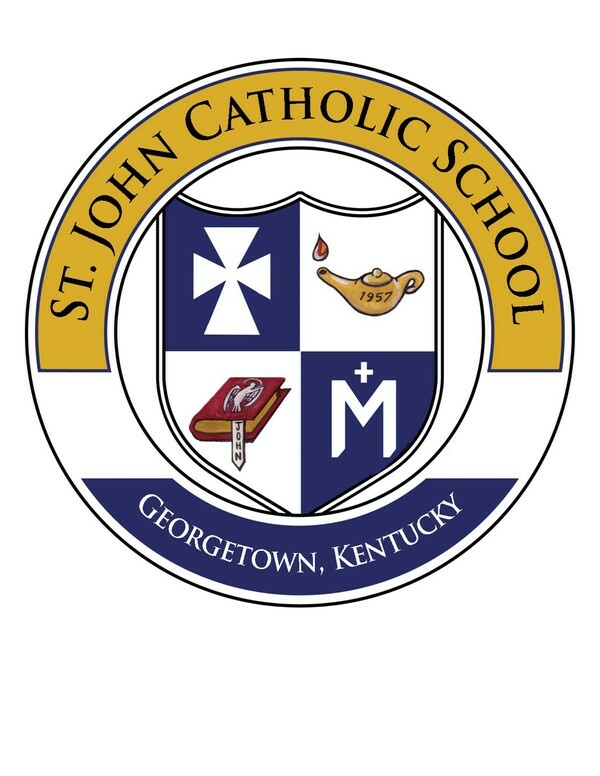 Please help us nominate St. John Catholic School as the #1 private school in Scott County by completing and mailing a ballot - must be postmarked by May 22 (You can also vote for your favorite principal, teacher, youth sports instructor etc). 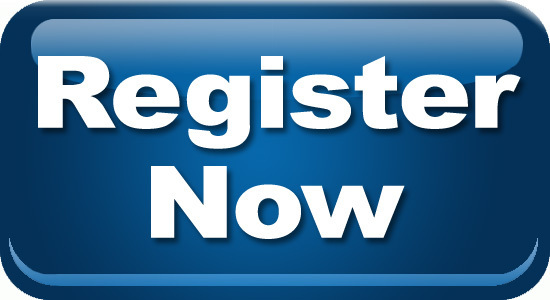 Registration Consent forms are due! Please turn in your 2017-18 consent paperwork as soon as possible. Also, the $200 annual fee is due by June 1st. Please contact the office if you have any questions about your registration. It&apos;s here! 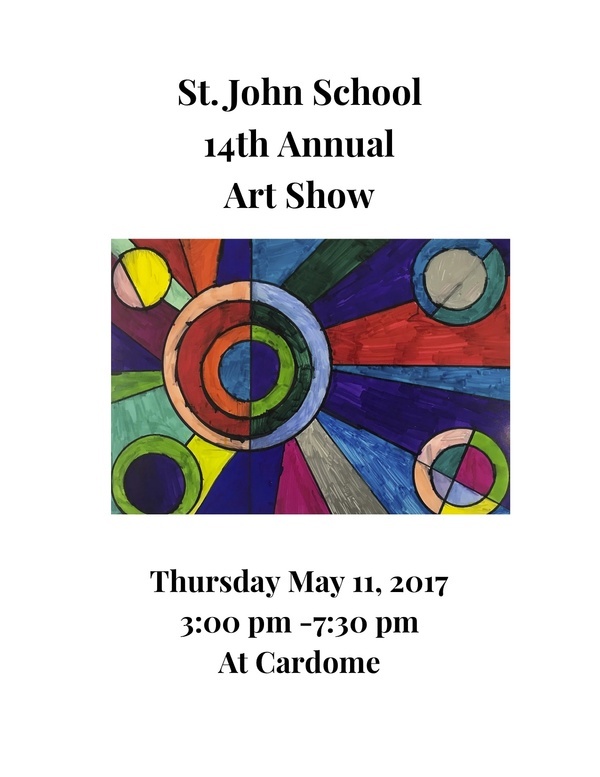 The 14th Annual SJS Art Show at Cardome! Come see all the wonderful work we have been doing this year! Art Show begins at 3pm Thursday, May 11th and this year we have extended the time to 7:30 pm! Come see it and bring your friends and relatives! 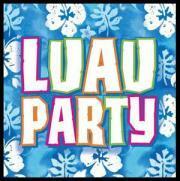 We have a sign up list at Signup.com, http://signup.com/go/LqVdGcT , for our art show refreshments and our scavenger hunt baskets. We usually give out 3 baskets full of wonderful prizes! Thank you for supporting our St. John&apos;s Art program! If you would like to help us hang the art show, please meet us at Cardome at 9:00 or 8:30 at St. John&apos;s to bring over art work and supplies. Please contact Miss Barb at bmoore@stjohnschoolonline.org to let her know if you can help. Thank you! A Middle School Dance is coming to SJS! Led by a determined group of 6th graders, we have decided to host a SJS 5th - 8th grade dance in the Cardome Chapel, May 12th, 7-9pm. Click here for more information about the dance. All current SJS students and any past "alumni" currently in those grades are invited. This is a test run so we can see about doing a fall dance as a fundraiser for the Washington DC trip. More information will be available soon. Any parents interested in being a chaperone, please contact Kim Jansen or Lisa Case. Deadline to register is May 15th!!! Miss Barb&apos;s Summer Art Camp at Cardome is opening up to the public later this week. Please click here for more information about the camp. To download the registration form click here. Please make checks out to Barbara Moore. Any questions please contact Miss Barb at bmoore@stjohnschoolonline.org. Thank you! How does St. John School deal with bullying? I thought this would be a good question since the school board will be reviewing our policy. Unfortunately, this is not always a black and white issue. There is zero tolerance for bullying. However, I must look at each situation and apply appropriate consequences. This could be as simple as talking with students, a warning, or loss of recess. It could also be as extreme as in-school suspension or home suspension. The most important thing is to let teachers know as soon as you are aware of bullying. They, in turn, should let me know. Click here to download the lunch menu for May.